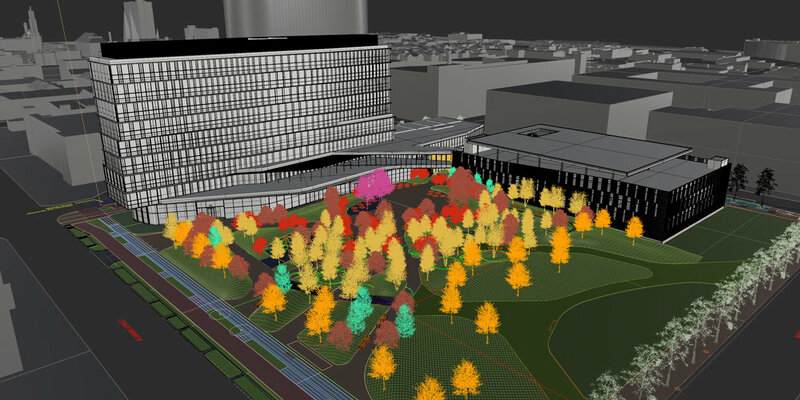 DAVID RUBIN Land Collective was awarded the opportunity to design the park and plaza of the new Cummins DBU Headquarters in downtown Indianapolis, IN. Working with Deborah Berke Partners, RATIO Architects, and others, the site design creates a holistic experience between built architecture, landscape, and place. Throughout the site, unique opportunities to use and enjoy the landscape are present for the Company workers and the public alike. 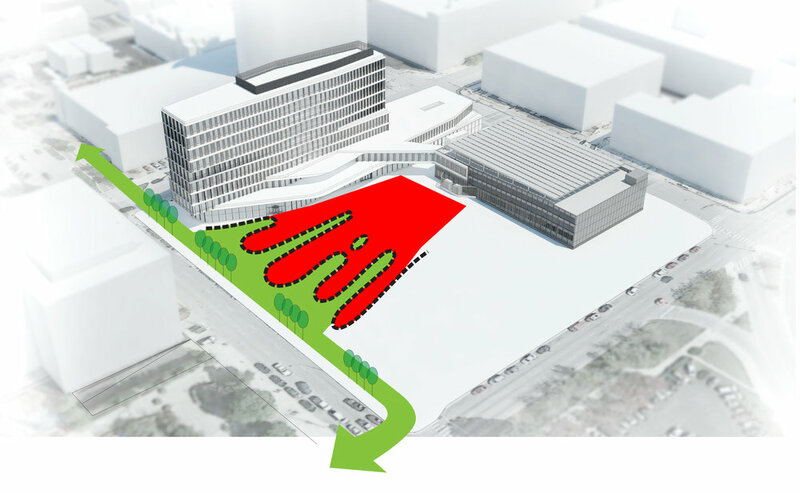 Key programs include circuitous paths through topographic planting areas, small gathering spaces with flexible seating opportunities, as well as a large plaza with a custom-formed amphitheater. The design team highly utilized 3-dimensional software, and the opportunities it provides, throughout the design process. From schematic to construction, and at scales macro to micro ideas were tested through modeling, as a tool to better understand and predict the built condition. 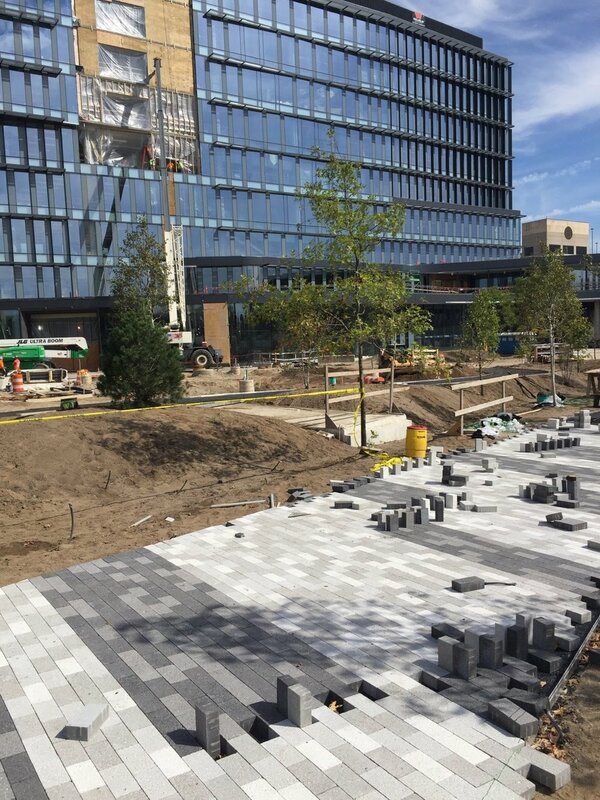 The paving pattern was developed through computer coding techniques, allowing the project team to quickly test and evaulate design ideas in an iterative process. These studies were further carried through into physical mockups and the final built condition.